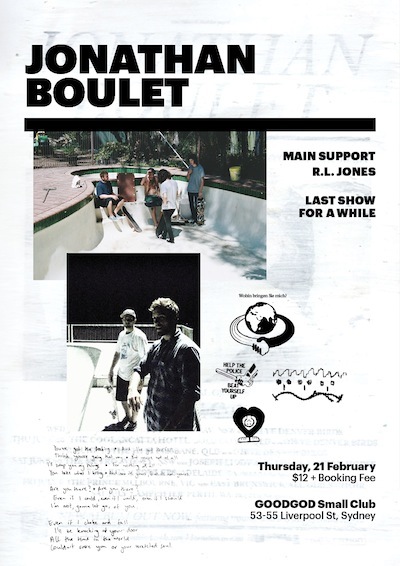 Don’t miss ‘Jonathan Boulet’s last show for a while. It’s been a while and it may well be a while, so get your fix now before they run off to write and record a fresh pile of sounds. Plan ahead, because this is going to be a big one!